Initial commentary: It's hard to know what businesses will do in the current business environment. However, here is what I know. 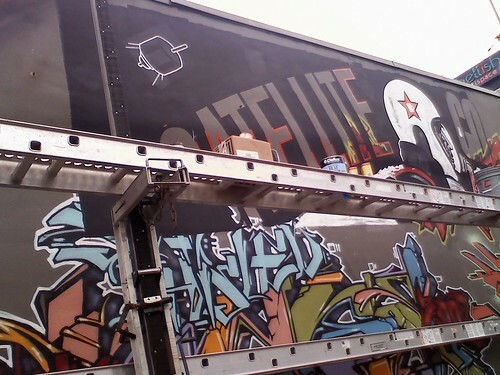 What : Satellite Coffee is set to open a new location in the central grid in downtown Tacoma. When : In the next few months. Additional information: look to Morgan's Brain, Exit 133, Volcano and the Tribune in that order for additional details. by KevinFreitas on 12/3/2008 @ 12:07pm Ooo, is this what they're going to use some of that extra space under Embellish for? That'd be sweet and I'm sure folks utilizing the Y next door wouldn't mind. by NSHDscott on 12/3/2008 @ 4:52pm Are they closing the current location or opening a second one? by Erik on 12/3/2008 @ 5:14pm Are they closing the current location or opening a second one? by chrism39 on 12/3/2008 @ 6:52pm I didn't think they were that good. But then again I have always hated the pretentious, snotty attitude their baristas sport. I mean come on, it's coffee. by Dave_L on 12/3/2008 @ 8:39pm Are they closing the current location or opening a second one? by NSHDscott on 10/12/2009 @ 6:10pm What's the address or intersection? by Erik on 10/12/2009 @ 6:46pm Right below Embellish Salon. Around 1100 Market Street next to the Y.
by L.S.Erhardt on 10/12/2009 @ 7:21pm Isn't this a 3rd location? They have a mini-cafe on 6th Ave next to Masa. Regardless, rock on Satellite! They do make a wicked hot chocolate for us non-coffee drinkers. by Crenshaw Sepulveda on 10/13/2009 @ 10:51am I'm envisioning a Tacoma, in the near future, where we will all be selling coffee to each other. So long as there is free wifi and a warm place for our laptops there will always be a Tacoma. A well nursed coffee is cheaper than rent, we just need to have some 24 hour a day coffee shops. by Erik on 10/13/2009 @ 12:52pm Isn't this a 3rd location? Yes. Very cool to see them take off in Tacoma. by Nick on 10/13/2009 @ 1:17pm Yeah, I really wish we had more 24 hour coffee shops in town. The only two I'm aware of is a Starbucks over around UP somewhere and Bertolino Bros next to Target. Couldn't one survive relatively easily on 6th Ave (arguably moreso than the two existing ones I mentioned)? by dolly varden on 10/14/2009 @ 10:18am The space looks like it'll be great -- should help fill the void left by Blackwater's dissolution. by izenmania on 10/14/2009 @ 10:59am So might the new coffee shop in Blackwater's own space. by dolly varden on 10/14/2009 @ 12:04pm I hope so -- looking through the window (and from its name), looks like the Vanilla Bean is looking like it's not aiming for the hipster hangout niche that Blackwater filled and that the other Satellite locations don't quite fill either (the Stadium location is too small, the Masa location isn't bohemian enough).